Dr. 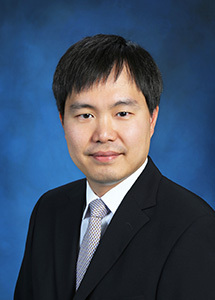 Sung Hong, Northbrook dentist, attended the University of North Carolina at Chapel Hill where he completed his Bachelor of Science degree in Chemistry. Dr. Hong continued his graduate education at the University of North Carolina at Chapel Hill School of Dentistry where he graduated with Honors. He also completed the curriculum for his PhD in Oral Biology. He moved to Illinois with his family in 2013. Dr. Hong has continued his dental education completing an Implant Continuum and an Esthetic Dentistry Continuum course. This Northbrook dentist holds a license to practice dentistry in the State of Illinois where he has been working for the past four years. His Northbrook dental office opened on Jan 10, 2018. His office is now accepting new patients. Dr. Hong speaks English and Korean! Dr. Sung Hong is available by email and by phone at his Northbrook dental practice. Email him or call him at (847) 787-1155.